As reported in the BBC, the slick now measures 46 square miles (120 square km), doubling in size from just yesterday. The slick is primarily comprised of the heavy fuel that was used to power the vessel, but the Sanchi’s cargo—136,000 tons of ultra-light crude oil from Iran—has likely leaked from the sunken ship as well. This crude condensate, which is used to make products like petrol, jet fuel, and heating fuels, is colourless and odourless, but more flammable than conventional oil. This form of crude is not easily detectable, and the wreck could be producing a giant and toxic underwater slick. Both the ship’s fuel and the condensate could harm marine life. 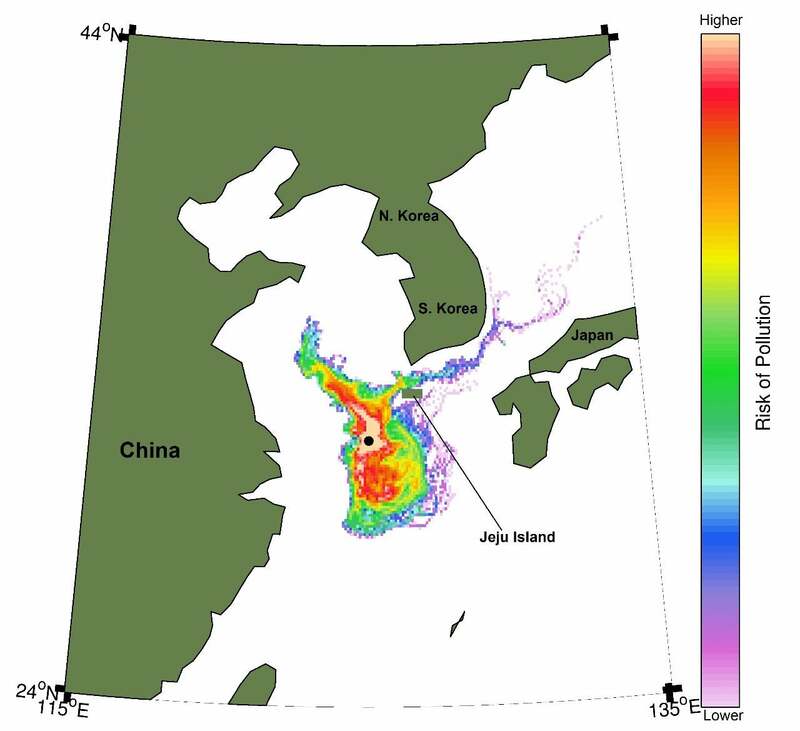 The Sanchi collided with a cargo ship on 6 January, about 160 miles (260 km) off the coast of Shanghai. All 32 crew members were killed in the incident. Some bodies were airlifted from the beleaguered vessel before it sunk over the weekend. The cause of the collision is still unknown, but the ship was in waters not typically traversed by large vessels, which tend to travel closer to the Chinese coast or nearer to Japan.